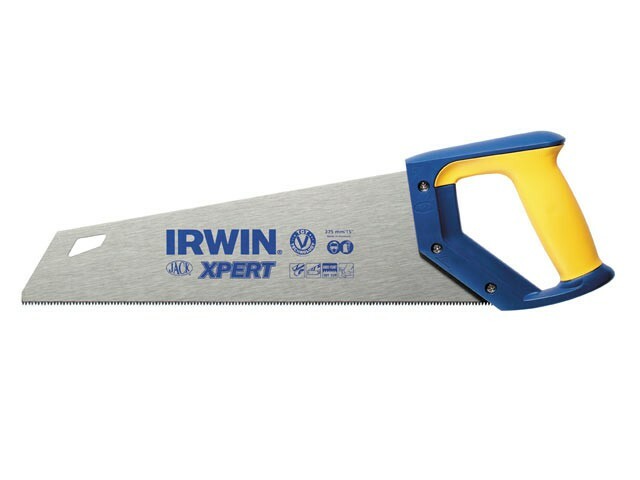 IRWIN Jack universal handsaw offering all round cutting performance, ideally suited for softwoods and board material. The 1 mm thick rigid nose blade is designed to offer maximum blade stability and features triple ground teeth 8tpi for ultimate cutting performance. The soft grip handle with finger guide is designed to offer maximum comfort during prolonged use and is securely fixed to the blade for added safety.